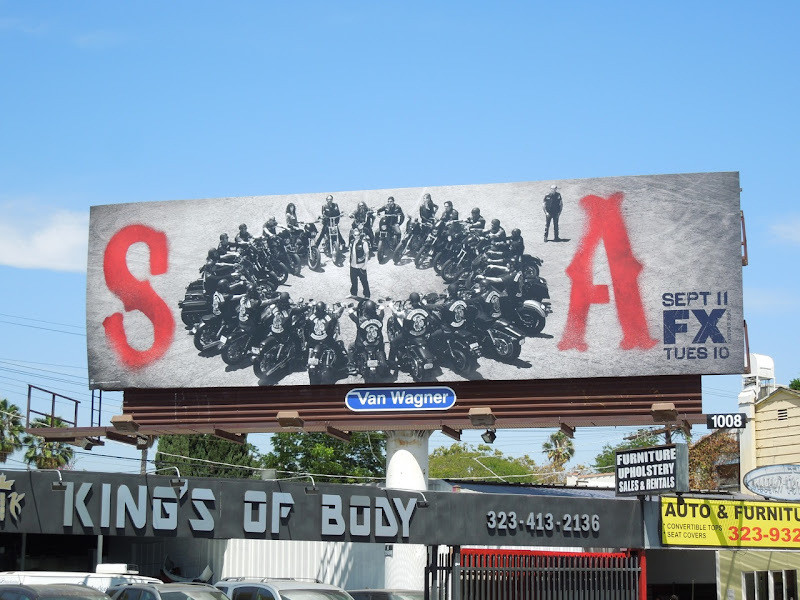 Daily Billboard is continually amazed by the creativity that goes into the ad campaigns for television shows, especially when it comes to returning favourites like Sons of Anarchy, back for a fifth season. 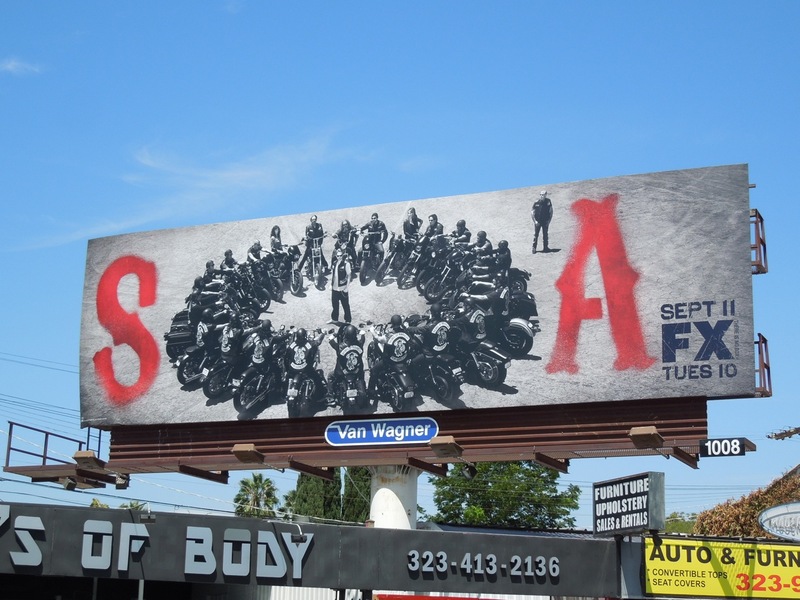 Using the biker gang in a circle to spell out the 'O' in 'SOA' is genius, yet so simple and captivating. 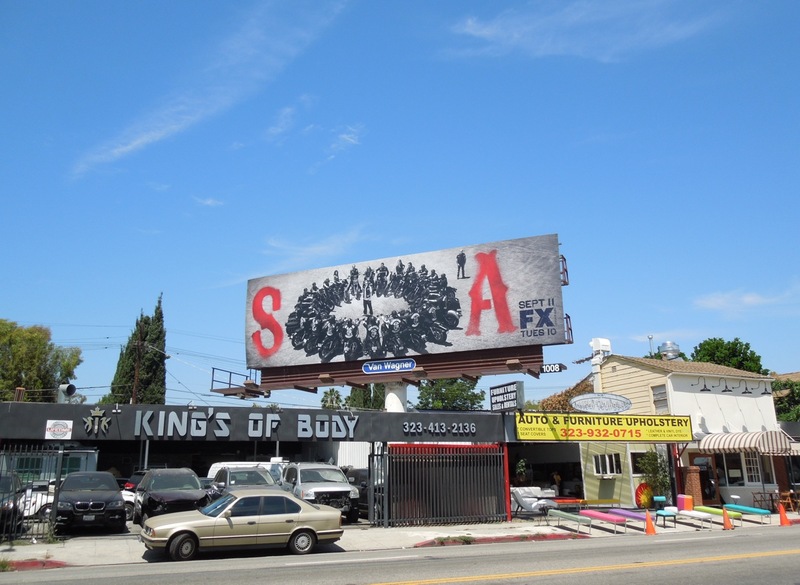 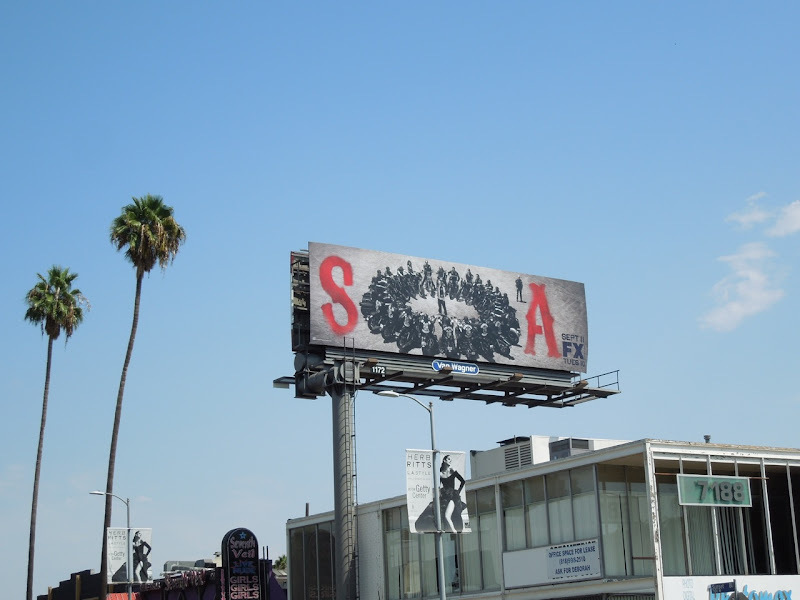 These FX series billboards were spied along Melrose Avenue and Sunset Boulevard on August 15, 2012. 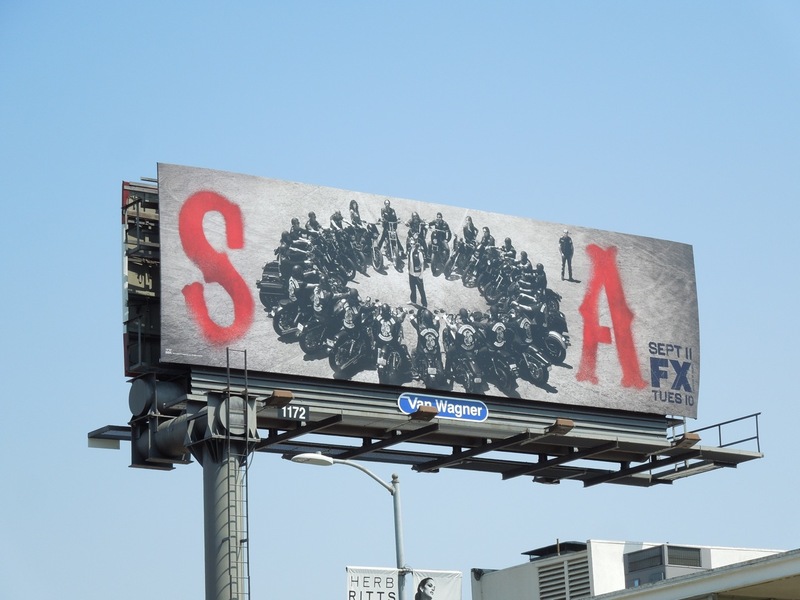 If you're a fan of the show chronicling the lives of the notorious outlaw motorcycle club, be sure to check out the season three and Sons of Anarchy season four billboards.